Forster Estuary Charters with “Estuary Magic” offer fantastic “Eco Tours” on Lake Wallis and the surrounding waterways. Forseter Estuary Charters cater for all levels of fisherman and all types of estuary fishing and “Eco Tours”. Charters can be individually tailored to meet your needs. Forster Estuary Charters are run by Tony and Gudrun and offer a free pickup and delivery service in Forster Tuncurry. Familiy Fishing Charter – Perfect for the family as it includes, bait gathering, crabbing and a picnic lunch on a sandbar where the kids can swim. Morning Charter – for the person who wants to hit the water early for some quality crabbing and fishing. Special Prawning Night – this is an opportunity to head out on to the lake to catch beautiful channel prawns and maybe snag the big one. The Twilight Charter – enjoy the afternoon relaxing and fishing. 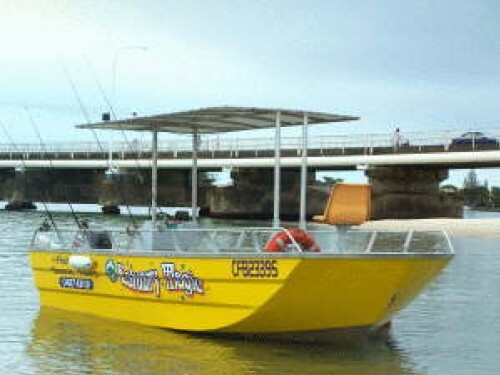 The boat “Estuary Magic” was built in Cairns, and is specifically designed for estuary touring and fishing. “Estuary Magic” is licensed to carry 10 people including the skipper. It is 6m long with a width of over 2m and a canopy to shade the sun makes it very comfortable for the whole family and thus cruising the waterways of Wallis Lake is a comfortable experience for the whole family. The nose is a “v” shape which makes stable and perfect to get into the shallow areas. It is powered by a 90hp outboard Honda which means we can get to the fishing locations quickly. Your hooks will be baited, your catch will be removed. 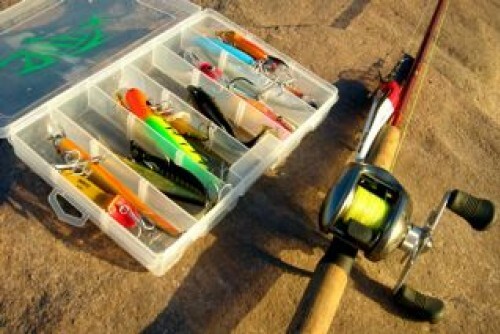 At the end of the trip your catch will be cleaned and packed for you to take home. All charters are tailor made for you, so talk to Tony about your needs. The following items are available on request: BBQ, Picnic Lunch, Cheese platter, Cold sea food. Otherwise bring your own food and drink. Toilet facilities are available throughout the Wallis Lake system. Price: “Contact Us” for more information. 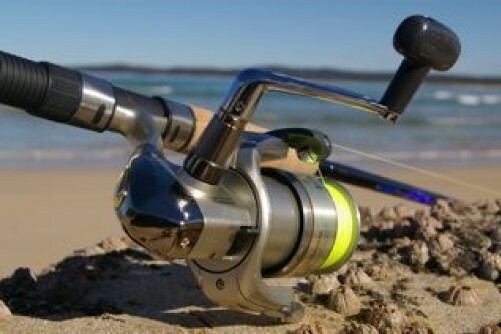 Inclusions: Rods and reels. All tackle and bait. Suntan Cream. Toilets are provided around the Lake Wallis system. Skipper: Anthony (Tony) Elkins. Tony and Gudrun have been keen fishers all their lives. They have lived in the Forster/Tuncurry area for the past six years. 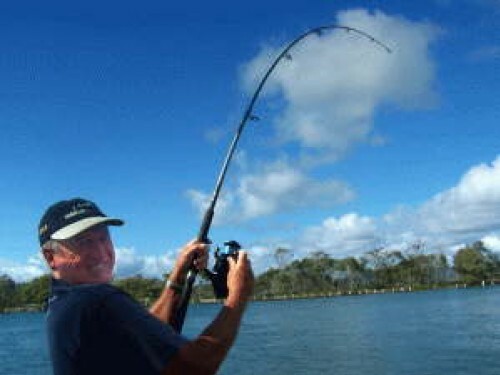 During that time they have been boat owners and have extensively fished the Wallis lakes and surrounding waterways. Tony and Gudrun have a sound knowledge of the waterways in the area and have ample knowledge as to the fish habitats. Being family orientaited and having a fishing, outdoors and camping backround they understand the joys of teaching children about the outdoors. Tony & Gudrun are Marine Radio Safety Service (MRSS) members and for the safety of all aboard. Tony logs on and off with the Coastal Patrol every trip and his boat is in survey and all safety equipment is on board the Estuary Magic.